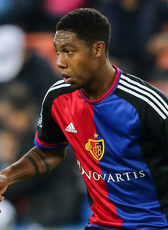 Jean-Paul Boetius signed a four-year contract at FC Basel on the 2nd of August 2015. The one-time capped Dutch international left Feyenoord for the Swiss champions for a fee of 2.5ME. In January 2017 Boetius moved to Belgian side Racing Genk on a loan period for the rest of the season. He returned to Switzerland after expiration of the loan period. However his former Dutch club was also interested to get the player back home and offered Boetius a 3 year contract. He returned to Feyenoord in June 2017 on a contract until 2020. After the 2017-18 season, he decided to go for another foreign spell. 1. FC Mainz signed the forward on a 4-year deal and Boetius moved to Germany.